Listed in the POD from 1834, as a stone carver, John Park's workshop was situated in Wellington Street. 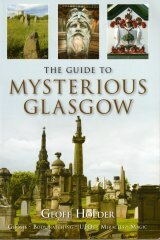 He signed a number of early monuments in Glasgow's most famous cemetery, the Necropolis, and others in burial grounds around the city, such as Sighthill Cemetery and the Southern Necropolis. These were carved in sandstone and include the Necropolis monuments the Gould Family (1834); the merchant John Hervey (1834); William Munzie; George Lyon Walker; and James Mackenzie of Craigpark (1837). His best known work in the Necropolis, however, are the Jacobean facades of the cemetery's Catacombs (1835) and the Jews' Enclosure (1836). The Catacombs facade is his largest surviving structure in the city, and was built to a design by the prominent Glasgow architect, John Bryce. Park's work on the building included the carving of the arms of the Merchants' House (a ship on a globe) above its arch, which is now badly worn, and several ornamental urns, which have since disappeared. Bryce was also the architect of the Jews' Enclosure, which has a tall column surmounted with a crown and a gateway with a scrolled pediment, which originally had ornamental gates cast by Thomas Edington's Phoenix Foundry. As well as building the facade, Park incised lengthy inscriptions in Hebrew and English into its stonework taken from the scriptures. The design for the facade is reputedly derived from the ancient Absolom's Column in King's Dale in Jerusalem, but is an entirely free interpretation of the original column itself. Park lived at 60 Carrick Street, and was possibly related to the sculptor Patric Park, and the monumental sculptor Samuel Park. (Patric Park is known to have come from a family of sculptors in Glasgow, and the Parks were the only ones trading in the city as 'masons and statuaries' in the early years of the 19th Century, when he was active).